At the end of 2017 I wrote that in 2018 I would be more discerning about my art commitments both in showing my work and in teaching/mentoring. I felt ready to paint less, knit and garden more. Retirement was looking good but then some things happened that got me fired up again. 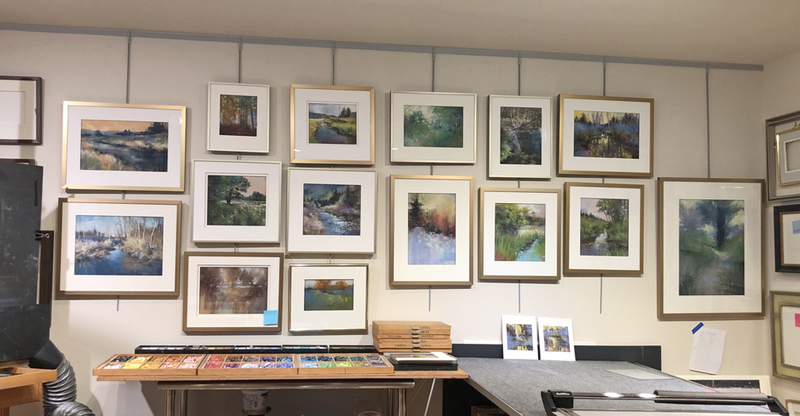 I was honored to do the walk-through comments on the Award Winners at the 32nd International Association of Pastel Societies Juried Exhibition at American Art Company, Tacoma and I judged the Maple Valley Creative Arts Council Art Festival. 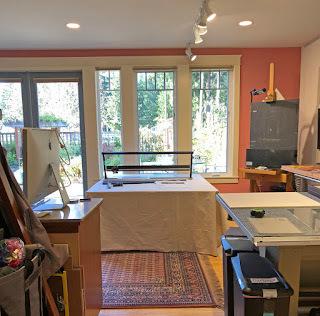 Another motivator to paint came in the Fall as I hauled empty frames, mats and glass out of hiding places in the studio and began "painting to the frame" - I painted and framed about a dozen pastels in a relatively short amount of time. 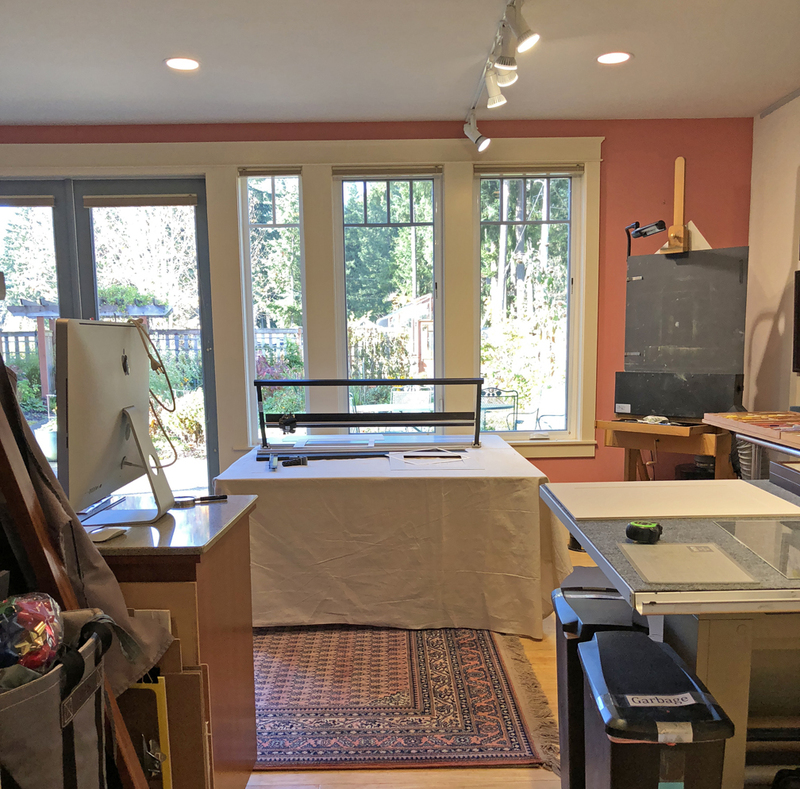 I also installed a new Walker hanging system in my Studio to accommodate the paintings. I still have a few empty frames (with mat and glass) to go before I change from pastel to oil to fill the frames without glass. Another thing that makes me want to paint is the rearrangement (yes, again!) of my Studio. I have finally bonded with this space and it was because I set up a large table for both my Fletcher and Logan mat cutters. Yay! Throughout 2018 I participated in online and gallery shows with some of the art organizations I belong to - Women Painters of Washington, Pastel Society of the West Coast, Plein Air Washington Artists, Black Diamond Arts Alliance, Oil Painters of America and International Association of Pastel Societies. I was reminded how it feels to be an award winner. I was also happy to have six paintings in the "Natural Instincts" exhibit at Ajoya, Mercer Island and I continue to be represented by Attic Gallery, Camas, American Art Company, Tacoma and Scott Milo Gallery in Anacortes. In 2018 I held mentoring sessions in my Black Diamond Studio. Similar to Private Sessions, these mentoring sessions are for 3-4 artists each time. I enjoy sharing what I have learned and will continue Mentoring Sessions in 2019. 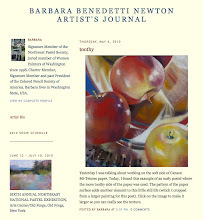 Today I was looking at the Editorials I wrote for the Northwest Pastel Society November 2009 through August 2012. I still find them informative and I thought you might too, especially if you are relatively new to pastel. Wishing you a happy and healthy 2019.